Former U.S. Secretary of Education Rod Paige is now the interim president of Jackson State University, taking over the same day that Carolyn Meyers resigned from the school’s top position. The board of trustees for the Mississippi Institutions of Higher Learning (IHL) named Paige as the temporary president of Jackson State in an emergency meeting Tuesday. 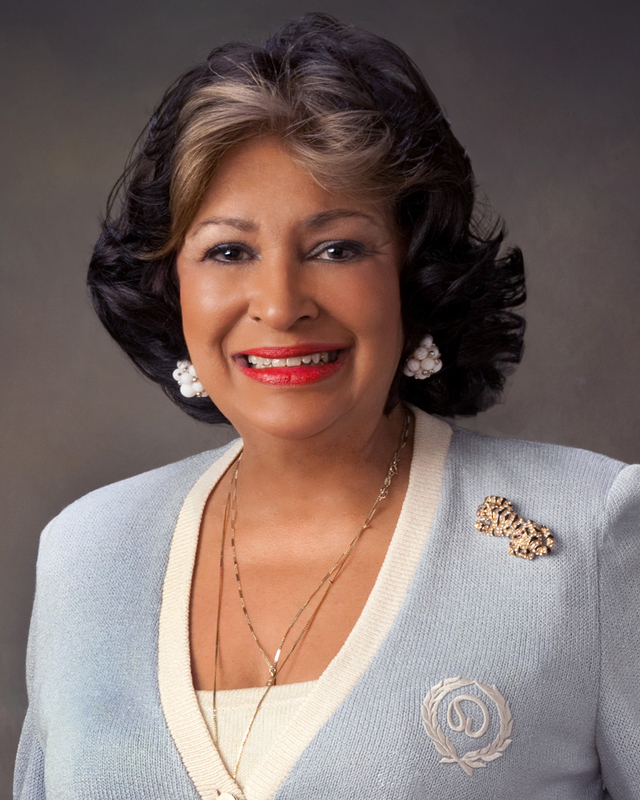 “I am deeply honored and profoundly grateful to the trustees of the Mississippi Institutions of Higher Learning and the Jackson State University family for providing me the opportunity to serve this great institution in this important capacity,” said Paige, 83. He takes over amid concerns that the school’s reserve fund was depleted by $33 million during Meyers’ five-year tenure. When Meyers was named the 10th president of the university in 2011, more than $37 million was available in cash reserves. Only $4.2 million remains in the fund. If Jackson State is met with unexpected expenses and forced to dip into reserves, it could only cover about a week’s worth of operating costs with $4.2 million. But the shallow rainy-day fund does not mean the institution is in jeopardy of closing. The board is working to remedy those management issues, starting with Paige’s return to Jackson State. “Dr. Paige has considerable experience managing large, complex organizations and will bring these skills to bear for the benefit of Jackson State, his alma mater,” Boyce said. Paige served as the head football coach for the university from 1964-1968 and was inducted into the Jackson State Sports Hall of Fame in 1988. Before Paige became the first black U.S. secretary of education, he was the dean of the College of Education at Texas Southern University, where he also coached football. “My life has been immensely enriched by Jackson State University, and I genuinely appreciate the opportunity to join the efforts of Jackson State’s many admirers in enhancing the possibility of others receiving the benefits of a great postsecondary education,” Paige said. Meanwhile, the IHL must find a long-term leader and where the $33 million in cash reserves has gone. State College Board officials are investigating the university’s expenses. The public accounting firm Matthews, Cutrer & Lindsay, P.A. has also been hired by the school’s board of trustees to analyze university spending. According to Boyce, there is no timetable for when the firm’s review will be finished. Meyers has defended spending the reserve money during her tenure. In a statement released before her resignation, Meyers attributed the spending to “strategic investments in scholarships, housing, technology infrastructure and additional campus sites,” stemming from increased student enrollment. Before her departure, she projected that $10 million will be returned to the reserve fund by the end of the current fiscal year. Her estimate is based on a plan to not fill vacant jobs, conserve energy, limit travel and hold excess revenue in the reserve fund at the university. In her resignation letter, Meyers said she is resigning “out of genuine love of and pride in the university.” Her notice to step down came a week after public questions were raised about her job status and the shortage of reserve funds under her watch. “Jackson State University remains financially solid, despite increased costs which resulted in the absorption of a significant portion of its cash reserves,” Meyers said. Meyers expects to receive “an extra 30 days compensation as well as compensation for all accrued benefits contained therein,” because her contract wasn’t supposed to end until June 2019. Some around the university praised Meyers for her contributions. Others disagreed. “This is not the first time, and it won’t be the last time we have an administration surrounded by controversy,” Jackson State alumnus Kenneth Jones said. The board is expected to discuss the presidential search at its November meeting, but estimates it will take several months before a permanent replacement is named. “Students remain our top priority. We are confident that Jackson State will move forward and continue to be an excellent institution and source of pride,” Boyce said.